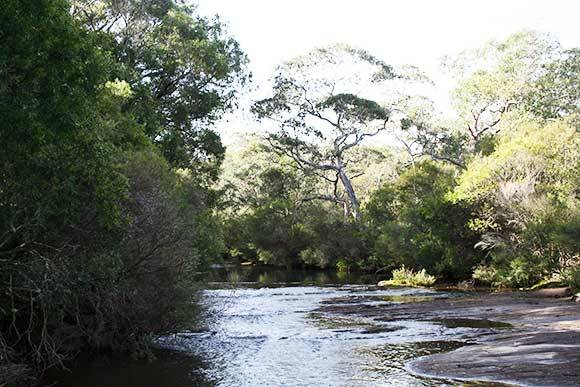 Many rivers in Australia receive baseflow (groundwater influx) which maintains flows during periods of low rainfall. Image by Derek Eamus. Groundwater makes up 98 per cent of the fresh water on Earth and roughly a third of our total water consumption. It is formed when water from rain and rivers migrates through the ground and is stored in porous soils and rocks. In many regions in the Australian outback, groundwater is the only available source of water. Even large cities have become dependent on groundwater, with 70 per cent of Perth’s water coming from the Gnangara Mound. It is often misunderstood to be an infinite source of water. In reality, poor management of groundwater, particularly over-extraction, is becoming a serious issue in Australia as the population and commercial usage of groundwater increases. Depleted groundwater stores pose a significant threat to the survival of the people and natural ecosystems that rely on it for survival. Luckily, UTS’ Professor Derek Eamus has a plan. Professor Eamus is a plant physiologist and ecophysiologist who has been a Professor of Environmental Sciences at UTS since 2000. His research interests include CO2 and water flux measurements of leaves and canopies, comparative analyses of groundwater dependent ecosystems and measuring and modelling ecosystem function. 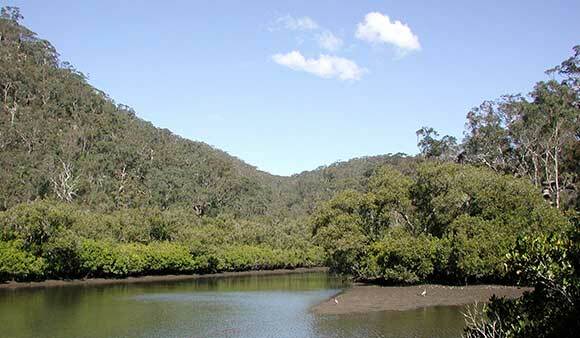 Professor Eamus will collaborate with groundwater extractors Hunter Water and MidCoast Water and government regulator NSW Office of Water on the project. Together, they will address the over-extraction of groundwater, which is proving to be a key problem facing groundwater dependent ecosystems. “The overall aim of the project is to develop a real-time assessment of how trees that use groundwater respond to over-extraction,” Professor Eamus says. On average, rates of groundwater extraction across Australia have increased by nearly 100 per cent between the early 1980s and early 2000s. Groundwater dependent ecosystem woodland in the Kangaloon Borefield, southwest of Sydney. The height and density of tree stems is larger at sites where groundwater is shallow compared to nearby sites where groundwater is much deeper. Image by Dr S Zolfaghar. Professor Eamus says this is largely because it is difficult to know when too much groundwater has been extracted. As a result, the project will provide real-time indicators to groundwater managers to inform them when to stop pumping groundwater. “We [will measure] a range of ecophysiological variables, including stem growth rate, stable isotope composition of leaves and root responses to changes in depth to groundwater,” he says. While Australia is the driest inhabited continent in the world, Professor Eamus says the preservation of groundwater is just as crucial in the rest of the world. The results of the project are intended to inform the water supply industry and industry regulators on how to improve management of both groundwater and vegetation resources. Professor Eamus says the project will earn UTS applied science credibility and the potential for patent development for sensor commercialisation. Professor Eamus was one of four UTS Science lecturers to receive ARC funding for their projects in 2015.